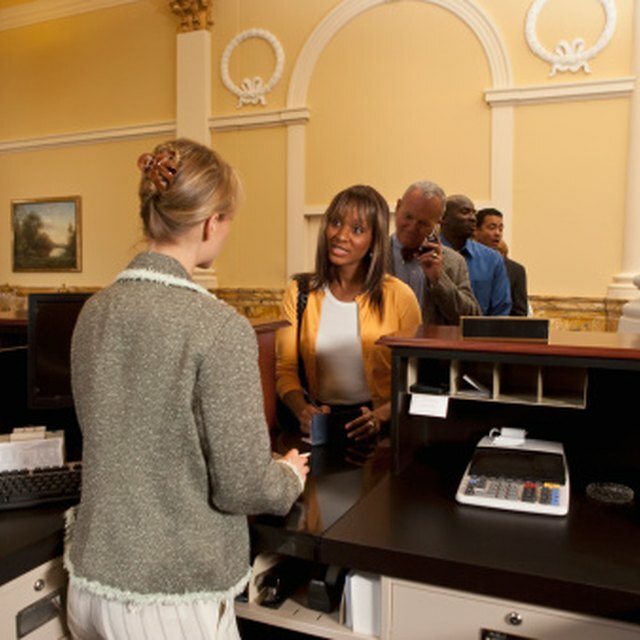 Opening a new checking account gives you a safe and secure place to deposit and withdraw your money and cash checks. You can open a checking account either through an online bank or traditional bank, with each having its advantages. You need proof of identification, such as your Social Security card, whether you open your account online or in person at the bank. Compare online and traditional banks. Online checking accounts typically cater to people with poor credit or people on the Chex Systems file database, because many online checking accounts do not use Chex Systems. (Chex Systems is a database many traditional financial institutions use to detect and report past due and closed accounts.) Online banks generally do not have automated teller machines (ATMs) for you to withdraw your money, so you must use other banks' ATMs, which may cost you additional fees. You must also transfer money to another account, such as another bank account, if you wish to withdraw more money than you can through an ATM. Visit the financial institution of your choice or visit the bank's website. For online banks, creating you account online is your only option. However, you can create an account either in the bank or online for most traditional financial institutions. Your online account is linked to your bank account, so you can visit your bank at anytime to deposit or withdraw money. Provide the necessary information. Whether you create a checking account online or in the bank, you must provide various information for security purposes, such as name, address, Social Security number and driver's license number, if applicable. You generally are informed immediately whether you are approved or denied the checking account. You receive temporary checks if you are approved, and regular checks and a debit card will arrive in your mail within two to three weeks. You may choose to enroll in overdraft protection if your bank offers it. Overdraft protection allows the bank to cover any purchases you make if your balance falls below $0. The bank charges you an overdraft fee, typically $15 to $35, for each payment it covers. You often must visit the bank in person to complete the application process if you open a checking account online through a traditional bank. You can deposit money into most online checking accounts by using an ATM or through the mail.